There’s something so chic about a low maintenance lip – it goes perfectly with any makeup look and never manages to look overdone so you know you can always rely on it. It’s like the little black dress of the makeup world because the right option will doubtlessly be a well-loved and well-worn favourite. As much as I love a bold pigmented lip (something that has been well documented on this blog) I do have a few favourites when it comes to the ultimate in low maintenance lips. The most recent addition would be the Lipstick Queen mornin’ sunshine, which is a sunshine yellow lipstick that turns into a coral on the lips. It’s surprisingly flattering on the lips, and the formula is so hydrating that it can be worn in place of a balm. I’m definitely a lipstick queen fan girl, because everything I try I adore and this one is no different plus it has the added bonus of just making me so happy every time I see it. It’s yellow! It’s definitely a little ray of sunshine for your makeup bag. 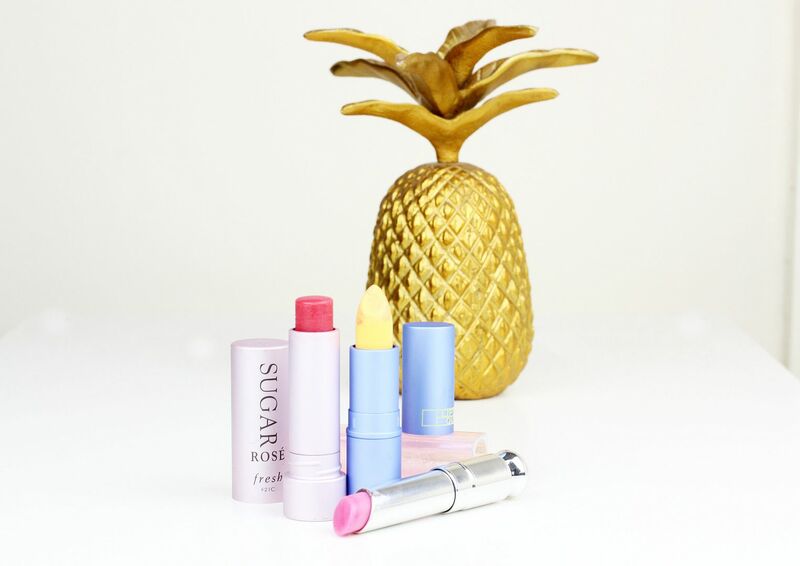 Another balmy one that also doubles up as a treatment would be the Fresh sugar lip shade which might just have the most delicious fragrance on a lip product ever. It’s super sheer so its not one to pick for its colour in particular but the formula is such a dream that I find myself reaching for it regularly. It’s definitely one to try if you want a lip product that will smooth over the lips and leave behind a balmy sheer wash of colour. My third and final pick would be a bit of a classic – for me at least, because I have repurchased it a good couple of times. The Dior addict lip glow is one of those custom colours that is meant to adjust to each individual’s lips (although I suspect it goes the same cool pink on everyone) and the finish it leaves is super natural on the lips so it’s perfect for faking a supermodel off-duty makeup look… she says, optimistically. The scent is a little bit minty, and it leaves lip so hydrated that I find myself using it when I’m at the office all day. Are you a low maintenance lip fan?